It was our last Hogmanay without responsibility and my first without a drink for about 16 years! 12 of our best friends had rented a cottage up north, but we’d decided to have a quiet one this year – dinner with our family and the TV on at the Bells. 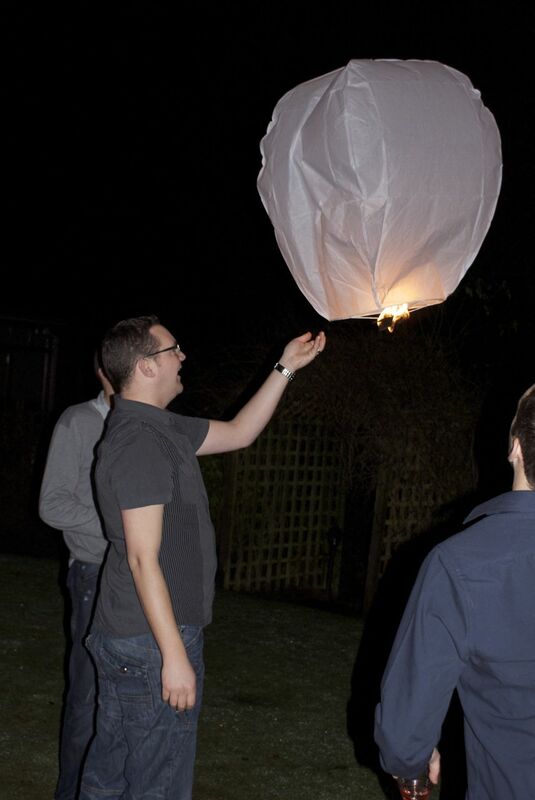 So after a sip of Champagne, we went out into the garden and Rod and his two brothers lit a Chinese lantern. Watching it float away, we wished for our wee one to be a high flier and for our engaged friends to have a flying start to their married lives. Happy New Year everyone – what are your wishes for 2011?